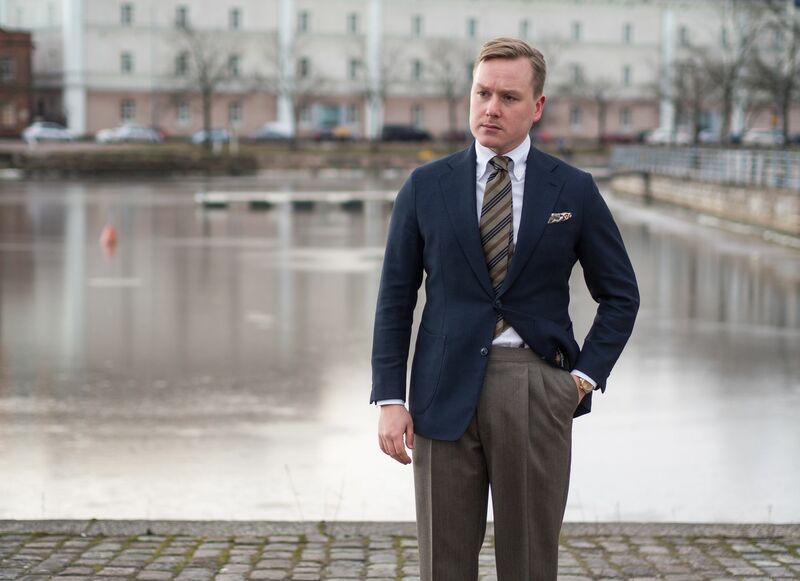 Today's post is a rather simple semi casual sport coat look for the winter season. Colors used combine different grey ish browns and taupe with dark blue and small splashes of other colors. One interesting point to think about in today's outfit though is the similarity of color of the trousers and the coat. 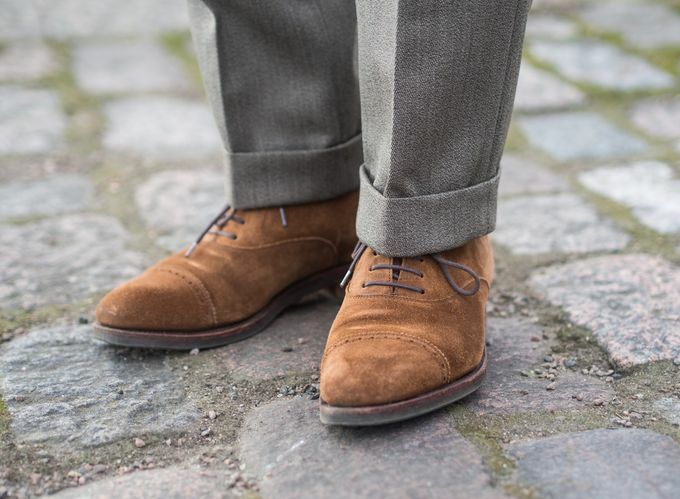 This problem tends to be the most common during winter time when it can be hard to contrast your trouser color with your coat. An issue that often arises as very few of us own many heavy (and expensive) overcoats suitable for these cold months. The norm is perhaps two, one dark and one light colored one. 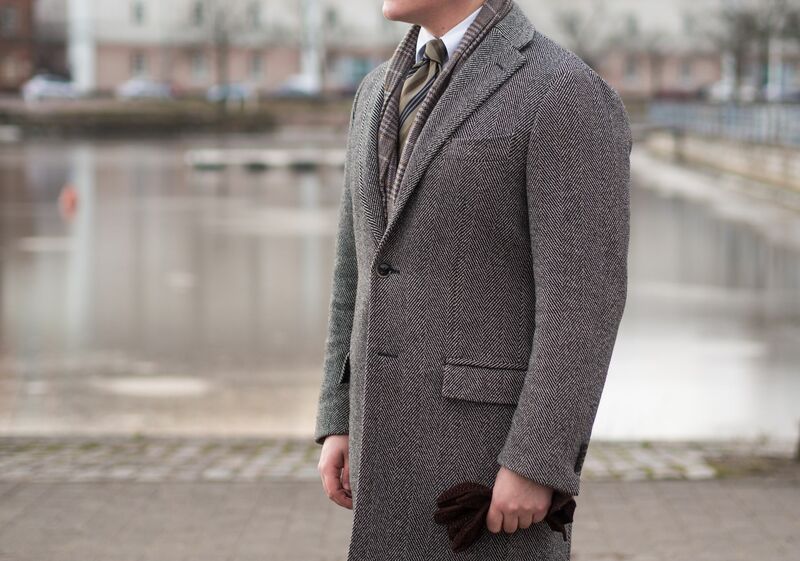 Even myself, having quite an extensive formal wear wardrobe, only really own two coats I like to use nowadays - my grey herringbone Ring Jacket wool coat worn in these pictures and my cigar brown Ring Jacket wool coat. What I've found with my new Caccioppoli Covert fabric trousers is that despite being quite different "on paper", both my coats look very close to the trousers in natural light. This is something I dislike quite a bit actually, and makes the torso and trousers look almost like one piece. So..time to perhaps have that dark navy polo coat done as one of my next bespoke projects. That said, it's quite a minor concern and nothing I would lose my sleep over. Having been writing the blog for years now though, I'm not sure if I've ever much written about this. Therefore as a conclusion: something to think about when buying winter coats, suits and trousers. 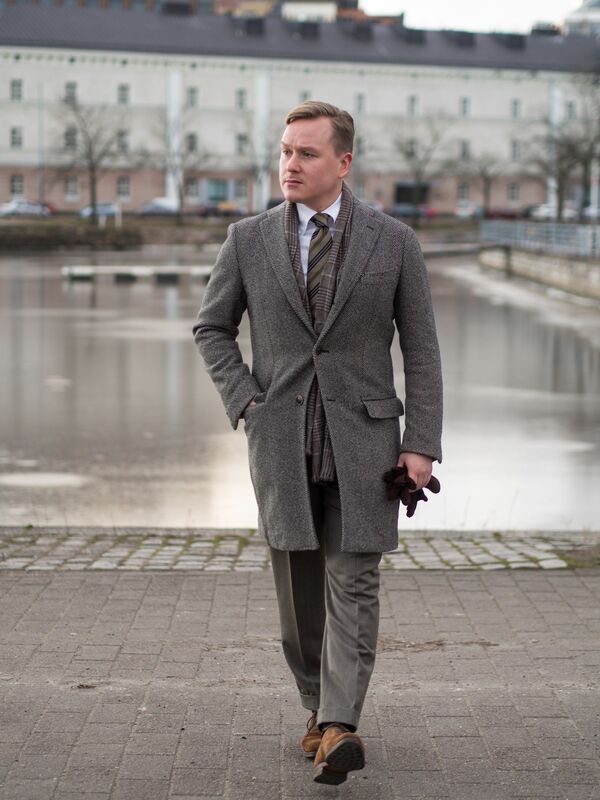 Today's post includes my RJ wool coat, Vaatturiliike Sauma mtm shirt, jacket and trousers, Drake's repp tie and wool silk pocket square, Viola Milano braces, Carmina Oxfords, Berg & Berg scarf and Madova carpincho gloves. The color balance in the outfit obviously changes entirely as the coat comes off. 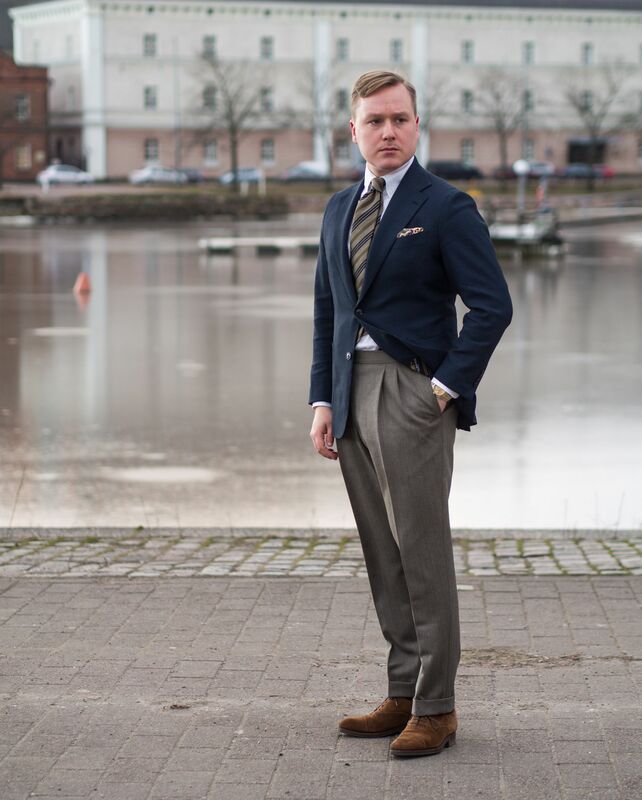 And once it does, I must say I very much like the slate blue jacket combined with the taupe brown tie and trousers. Basically the same and at least equally elegant as a normal navy and brown would be, but with a very different feel to it. A nice break from the most common colors we tend to use and see around us. For this look, the jacquard tie from Drake's has an almost too perfect color palette. The heavier jacquard silk of the tie is also a great fit with the heavy wool twill in the trousers - both fabrics are definitely in the casual end of spectrum. 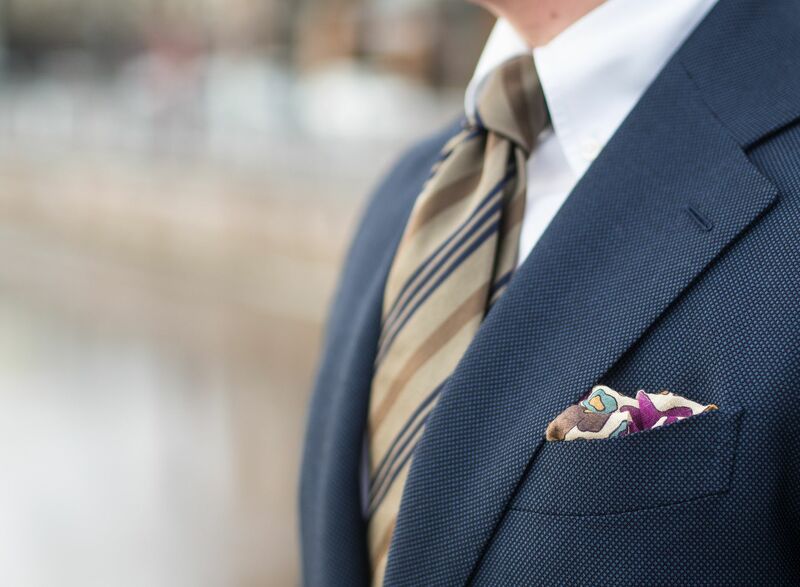 The cream-colored wool silk pocket square has similar browns and taupe patterns, combined with teal and magenta. First of all, I've worn this pair of shoes very little since I got them already quite a few years ago. 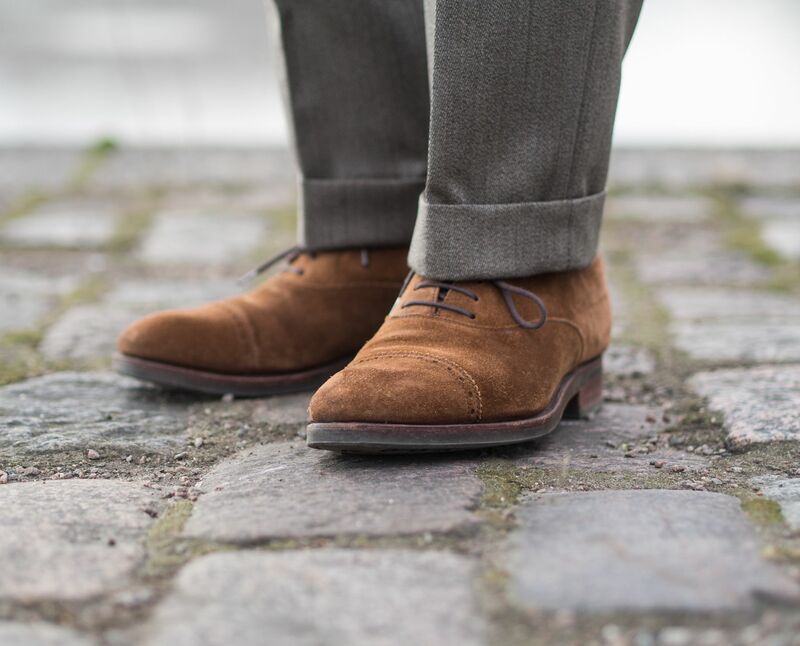 Somehow I just don't really like wearing suede shoes, unless they're loafers or boots. The lack of shine isn't to my liking and while they would often make great detail shots, I don't like them in the context of the overall outfit. In this particular case they did feel very appropriate though, perhaps because of the Covert fabric trousers. So, perhaps I finally found a good use for them.